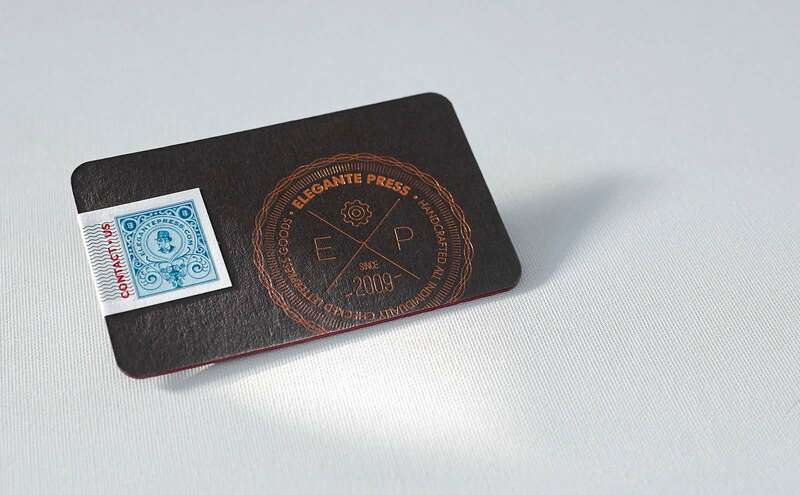 Those expensive business cards we have produced in order to show the high quality of materials we use, possibilities of traditional printing technologies as well as their unique beauty. 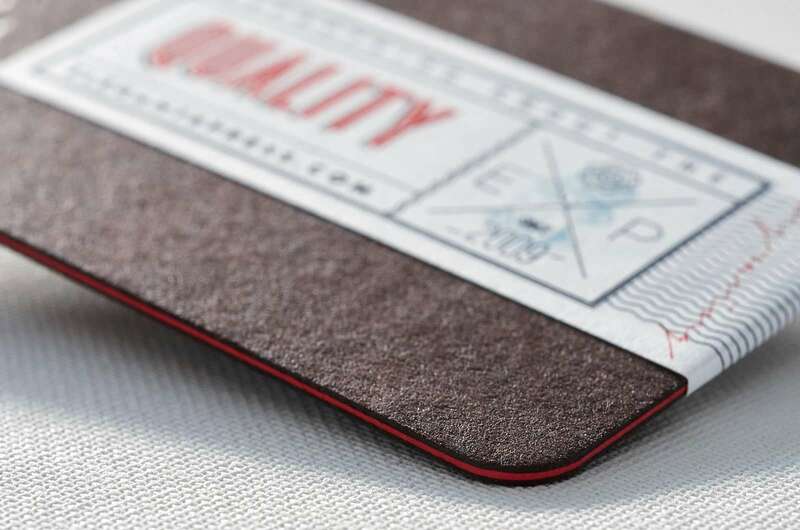 The business cards are produced by using red and chocolate brown matte papers. The red paper is glued in between two sheets of brown paper achieving very delicate bright red card edge. 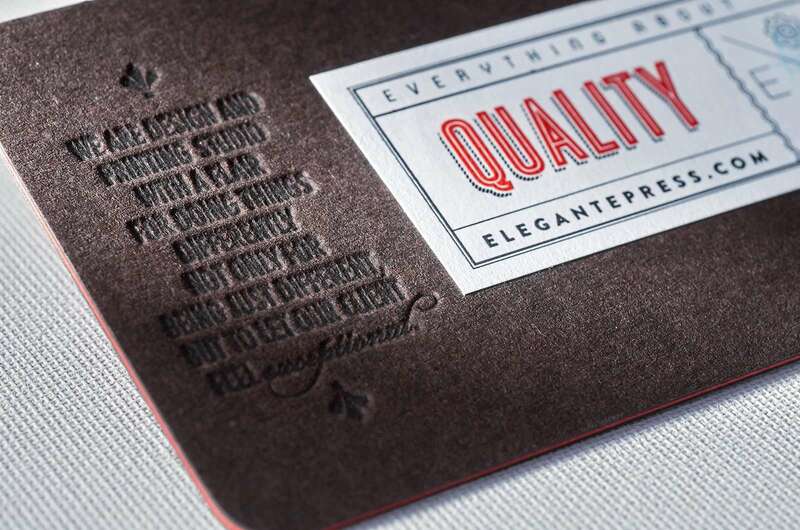 On one side we have letterpressed our slogan, and on the other side – copper foiled our decorative stamp. 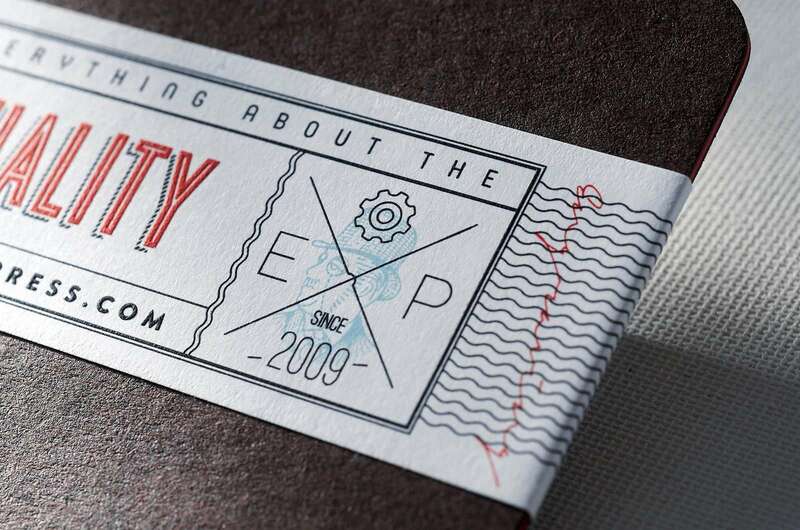 The main highlight of the card is a sticker that is printed on white matte high-quality label paper. 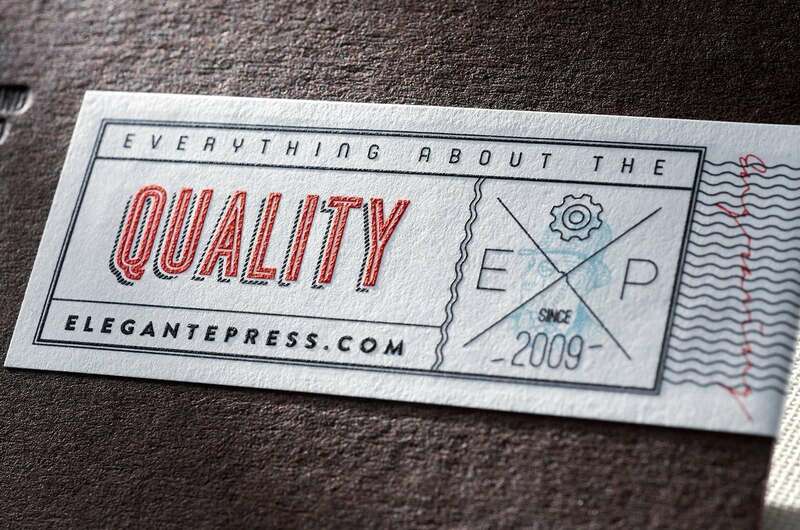 The sticker is printed in two traditional printing technologies – silkscreen printing and intaglio. The top feature of our silk screen printing that it is completely flat and matte. Intaglio printing technology is worth a separate story. This printing method appeared in 1430 but is used till these days. This is the most accurate printing method by which is printed artwork, also money, passports and other documents that must fit all high accuracy requirements. Objects printed with the intaglio method rise from the surface of the paper, and you can feel it with your fingertips. 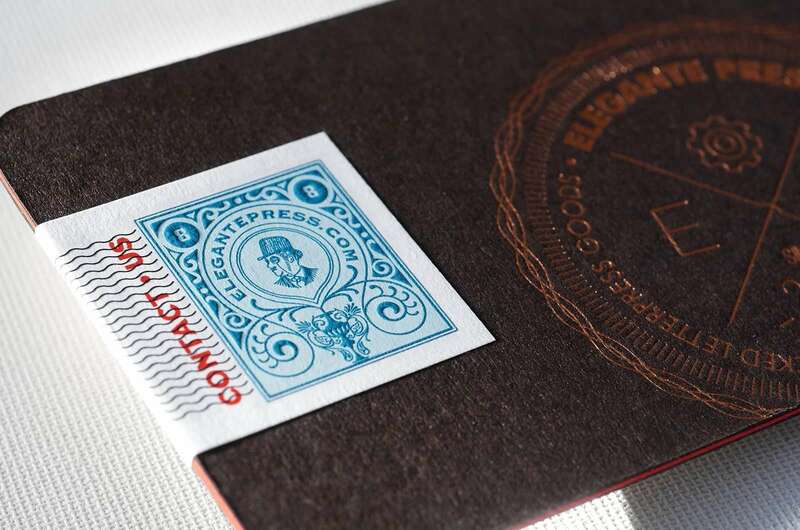 Those silkscreen, foiling, intaglio, and letterpress printed business cards were featured on Underconsideration blog. 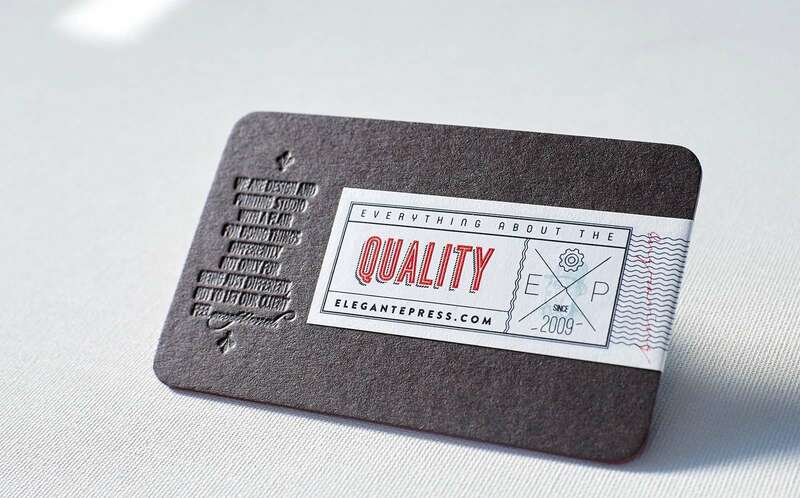 Read more about stunning letterpress business cards embellishments.